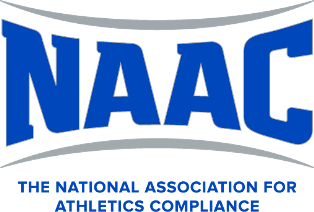 The mission NAAC is to foster the highest possible professional and ethical standards, while providing athletics compliance a broad range of personal and professional advancement opportunities. Further, it is NAAC's mission to improve the overall understanding and effectiveness of the athletics compliance profession, while upholding the ideals of higher education.NAAC provides educational opportunities to increase the knowledge and skills of its members; establish a forum for the exchange of meaningful dialogue to increase understanding of relevant industry issues; and initiate and disseminate industry research, data and trends to enable compliance personnel to be better informed. Copyright © 2016 Connect. All rights reserved.